God took the outcasts - rejected and despised Australian Aborigines - and transformed whole communities in a few days, first on an island in north Australia and later across the north, centre and west of Australia. This fire of revival transformed health, hygiene, attitude to work and education, and brought true reconciliation and love between families, clans and tribes that had been fighting for many generations.Fire in the Outback is the Aborigines' own stories of what happened. It is a very frank, exciting and balanced presentation that challenges our own lives as it looks at the roots, background and results of a revival that points the way for the future.This is the story of real community transformation that produced many of the next generation of indigenous leaders and prepared the way for Australia's first peoples to take their God-given role in real leadership in one of the most multicultural nations on earth. 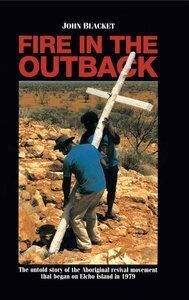 About "Fire in the Outback"
Schoolteacher, community worker, Christian minister and encourager to indigenous Australians for over 30 years.